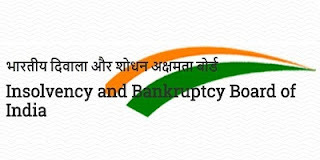 Insolvency and Bankruptcy Board of India - IBBI published an official notification for Recruitment of General Manager for 01 posts. Eligible candidates can apply for this recruitment. You can view more details about this recruitment including No. of posts, name of post, Educational qualification, Age limit, Selection process, How to apply etc... You can also view official notification and other important facts about this recruitment e.g. Important links and Important dates. Candidate from Organised Group ‘A’ Accounts Service of Central Government. Applications shall be submitted to Mr. Ritesh Kavdia, Executive Director, IBBI, 7th Floor, Mayur Bhawan, Shankar Market, Connaught Circus, New Delhi -110001 or submitted over mail to personnel@ibbi.gov.in.